This entry was posted in Uncategorized on August 20, 2018 by dk. Despite its name, the small intestine is actually a whopping 20 feet of very important business. Working alongside your stomach and large intestine, the small intestine has the important job of digesting food and absorbing nutrients to keep us in good health. As if that wasn’t significant enough, it’s our little intestinal friend is also a key contributor to a healthy immune system. The small intestine plays host to specific beneficial microorganisms that help protect our bodies against bad (pathogenic) bacteria and yeast. These good bacteria also do their part to produce vitamins and nutrients like vitamin K and folate. They are the keepers of the small intestine, ensuring that it continues to do its thing, muscling waves of food through the gut. Small intestinal bacterial overgrowth or SIBO occurs when there is an increase of bacteria and/or a change in the type of bacteria present. Most often SIBO is caused by an overgrowth of the wrong types of bacteria that actually belong in the colon (the large intestine). SIBO is like a bad tenant. It invites all its rowdy friends in for a party and damages the cell lining of the small bowel. This can lead to leaky gut, allowing large protein molecules to move through the intestinal barrier and escape into the bloodstream. As you can imagine, this causes a number of problems, including general inflammation, immune reactions that cause food allergies, and autoimmune diseases. These havoc-causing bad bacteria are also responsible for poor digestion, diarrhea and malabsorption. Patients with SIBO may suffer from nutritional deficiencies, particularly iron, vitamin B12, and fat-soluble vitamins A, D, E and K, as well as unintended weight loss, and even osteoporosis. How do you know whether it maybe SIBO? SIBO is considered an underdiagnosed condition as many people do not seek medical care for their symptoms. In the most severe cases, patients experience weight loss and vitamin deficiency-related symptoms. Are you at risk for SIBO? Studies also indicate that moderate alcohol consumption — that’s one drink a day for the ladies and two for men — not only promotes the overgrowth of certain types of bacteria, but it can also impair vital functions resulting in small bowel injury and decreased muscle contractions. If you are experiencing any of the symptoms mentioned above or think you might be at risk, then I encourage you to make an appointment to assess your symptoms and get tested. Specialized testing can be accomplished through a breath test. This breath test measures your hydrogen and methane gas levels produced by the bacterial metabolism and can be a very helpful indicator to determine if you are suffering from SIBO. How can you treat SIBO? Despite multiple courses of antibiotics being a risk factor, antibiotics are still most often used to treat SIBO. However, studies show that SIBO returns in nearly half of all patients within only a year! Successful treatment of SIBO must be handled just like any other health condition – not with a temporary Band-aid solution, but by addressing the underlying cause! Intestinal bacteria can be influenced by numerous factors beyond what we eat and how much. 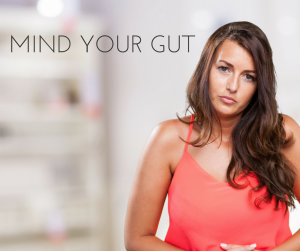 Environmental effects, drugs, alcohol, and lifestyle factors such as stress can all be contributing factors to poor gut health. Therefore, the treatment must be unique to the individual. 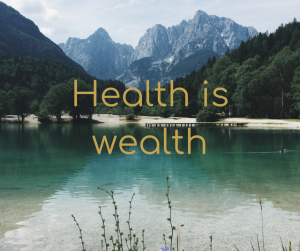 Once you have identified the cause, treat SIBO symptoms through a healthy diet, nutritional supplements and positive lifestyle changes that help return the body to balance. Eat three meals a day 4-5 hour apart and avoid snacking. We need to give our body time in between meals to improve our intestinal motility. More often than not, motility becomes an issue with people suffering from SIBO. With guidance from your naturopathic doctor try an elimination diet for two weeks to get your body back on track by reducing inflammation and bacteria overgrowth. Enjoy foods that assist digestive health like fresh pineapple which is rich in bromelain and can also help lower inflammation, and bananas which are an excellent source of potassium and manganese that your stomach lining needs for healing. Do any of the above symptoms or risk factors sound familiar? Do you think you might be suffering from SIBO? I can help! Please contact me, and we’ll get to the bottom of what’s going on and create a plan of action to bring your body back to good health. The content provided in this email is presented or compiled for your convenience and is provided for informational purposes only. The information provided should not be construed as offering medical advice. You should seek medical care immediately for any specific health issues.